Peter Elbow’s writing theories thrill—even if you ignore them. 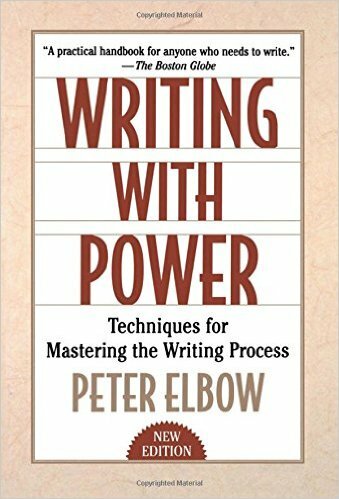 On my recent European trip I dipped again into Writing with Power, finding it dense but savoring Peter Elbow’s hard-earned insights. He’d been such a poor writer that he had to drop out of graduate school, only returning years later. If he’d been a natural, he probably would not have noticed how he actually wrote successfully, when he did. Pre-outlining didn’t work for him, either. To write is to overcome a certain resistance: you are trying to wrestle a steer to the ground, to wrestle a snake into a bottle, to overcome a demon that sits in your head. To succeed in writing or making sense is to overpower that steer, that snake, that demon. But not kill it. This myth explains why some people who write fluently and perhaps even clearly—they say just what they mean in adequate, errorless words—are really hopelessly boring to read. There is no resistance in their words; you cannot feel any force being overcome, any orneriness. No surprises. The language is too abjectly obedient. When writing is really good, on the other hand, the words themselves lend some of their energy to the writer. The writer is controlling words he can’t turn his back on without danger of being scratched or bitten. You’ve got to love a guy who comes up with stuff like that. In one of his chapters on the pros and cons of various writing processes, I discovered that I use the “dangerous method,” which means trying to make perfect words, sentences, and scenes as you go. The problem with this, he says, is that writing’s two major components, the creative and the critical, are at odds. They are too different. He thinks the editing mind being employed too early blocks writers or turns their prose wooden. [I]t was an unconventional routine he stuck to: sleep until noon; read and think in bed for another hour or so; lunch with Rose around 1:30; run errands, deal with the mail, listen to music, daydream and generally ease into work until 4. Then up to the workroom to write for four hours, perfecting each paragraph until 200 or 300 words are completed; have cocktails and dinner with the family and friends at 8 or 9; and stay up until 2 or 3 in the morning, drinking and reading and smoking and listening to music. My personal excuse for trying to make everything right as I go is that that’s how I achieve Elbow’s holy grails of discovery and of experiencing what I am writing about. He’d probably say I’m just polishing and could spend that time creating, and he’d probably be right. Elbow’s discussion of such intangibles reveals that his concern isn’t with nuts-and-bolts craft but with process—and, really, ultimately, with the writer’s psyche. Writing does seem to me to be a profound struggle with the self—or at least it is for me. Facing the blank page with the Self and all that. Who am I? Who was I? Why did I do that, say that, fail to do that? Great painters are often less skillful than mediocre painters; it is their concept of painting, not their skills, that defines their activity. Similarly a foreigner may be less skillful than a native speaker at manipulating tenses or using subjunctives, but nonetheless be an incomparably better writer. Intellectual activities generate skills, but skills do not generate intellectual activities. Words on the page come from the self, and, for most writers, getting them there regularly seems to require a struggle with the self, of overcoming resistances arising from fear and confusion. I think a writer has got to like making sentences. This work is about seeing what comes out of you and, at the sentence level, trying to make it sturdy and sometimes beautiful. Then revising, forever. And dealing with resistance and the exciting-depressing realization that any new project worth doing is going to make its own unique and otherwise perplexing demands. But I believe, and fervently hope, that writing, like other complex activities, rewires our brains. I think we do get better with practice, even if writing doesn’t seem to get much easier. It annoys me to no end when people make grand proclamations like his. “Great painters are often less skillful”? What he probably means is that people who are great naturally might have less practice or try less hard. I try hard where I am naturally mediocre, and I may know a whole lot of tips and tricks, but I’m still not as skillful as those who are great. Bah humbug on him. I write by the dangerous method, too. It takes longer, but it digs the warts out by the roots. Leslie, it’s a vexing subject! All the writers I read about and all those I know seem to employ the dangerous method. I think I do because it produces the insights the keep me doing. In working and reworking I trip across connections, wordings, and as you say, bad stuff wont’ withstand the scrutiny. 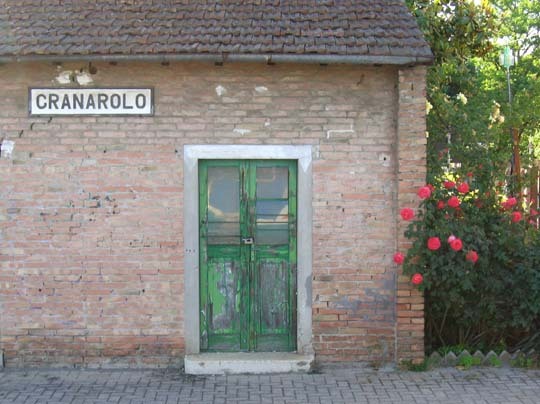 It occurs to me my last two posts have muddled together two related issues: that of getting the words on the page; and the issue of what writing is, whether it is the crafted artifact or the self that produces it. If I’d used more assiduously used the dangerous method for these posts I’d have connected the two issues brilliantly, I’m sure . . . I play the most ridiculous games with myself. When I write I move across the room to my green sofa and settle in with a yellow-lined pad of paper, a Papermate pen with blue ink and a cup of tea by my side. This puts me in a creative zone where I don’t edit myself along the way. Afterwards I move across the room to my computer, type in my work and edit as I go, adding new insights. Does this make me somewhat ‘dangerous’? Somewhat. :-) But you are doing more what he (and others) advise: separating the creative and critical processes a bit. I think writers who handwrite these days do exactly what you do, though how long they wait to type it in must vary. Styron fascinates me because I admire most of his work, which is long, detailed, evocative, and he wrote by hand yet also apparently polished it by hand. He said he used pencils! He then hired typists, for three typed drafts. Makes perfect sense to me, and while I appreciate the struggle that writing is, there is something about the exertion of force in a struggle that draws all energy to a single point. When I get stuck in the tension that even healthy struggle produces, I shift to the “try easier” philosophy and sometimes it just comes, not effortlessly, but without force. I’m thinking here of creativity and its attendant processes. A good point, nicely put, Mary. I think that’s why a writer I know counts birdwatching and gardening as writing. And why Annie Dillard emphasizes love, not discipline, as the best way to keep getting words on the page. Thanks for this post and the idea of welcoming resistance in words. Usually I’m struggling to say what I mean, trying to get the words just right. So I think I’ve been trying to smooth all the resistance out instead of inviting more in. Very exciting. Can’t wait to sit down to write. Thanks, Cynthia. I really think he’s onto something! Though it sounds like if you too are using the Dangerous Method you may be fighting enough push-back as it is.